Pulmonary hypertension is a rare blood vessel disorder of the lungs in which the pressure in the pulmonary artery rises above normal levels and may become life threatening. For more information about PH, contact the Pulmonary Hypertension Association. See the most recently posted cartoons. Read about Leslie. / Contact Leslie. 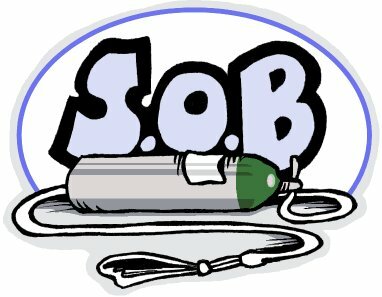 So, why the name S.O.B.? Check it out.